After entering my password for each Gmail email address in Mac Mail, the screen stayed blank and the only option presented was to cancel. No matter how many times I tried to enter in my password that I knew was correct, Mac Mail didn’t process the password. 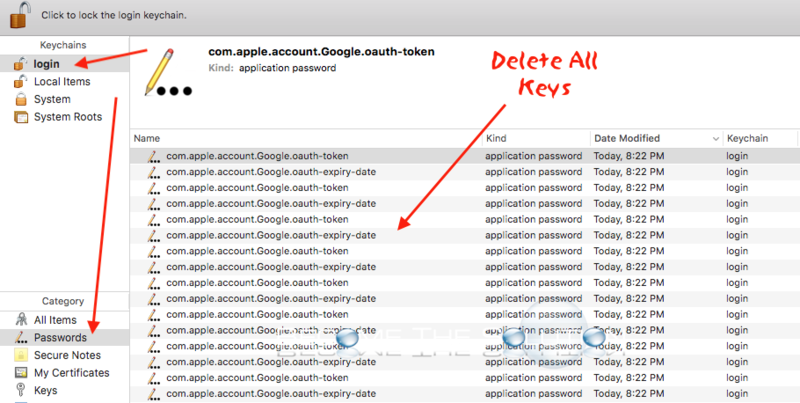 Unbeknownst to me, it appeared my Gmail passwords in Mac OS X keychain were corrupted somehow. 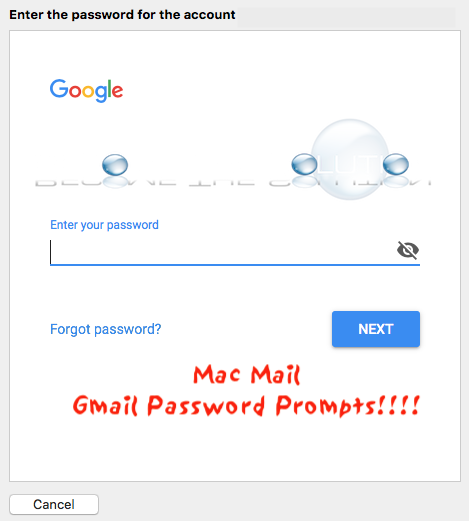 I deleted the saved passwords in Keychain and took my accounts online in Mac mail again. This fixed everything. Open Keychain Access app in Applications -> Utilities. Select login under keychains and Passwords under category from the left side. Search for the following keychain item names and delete them (select all, right-click delete). Finally, open Mac OS X Mail and take each Gmail account online by clicking the lightening strike icon and highlighting each mailbox. Eventually, each Gmail account will re-active and you will not need to re-enter any passwords.